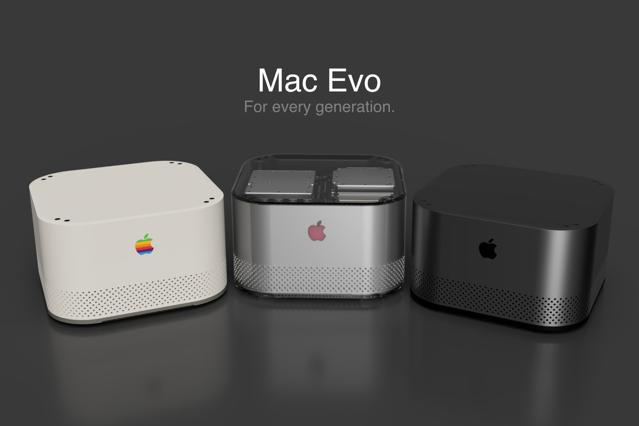 ‘Mac Evo’ is a new Apple desktop computer concept designed by Pierre Cerveau, that aims to bring faster performance through liquid cooling. 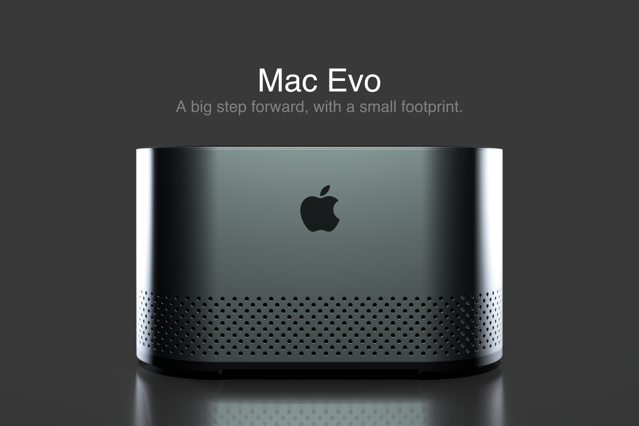 In terms of size, specifications, and price, the Mac Evo could fit well between the Mac mini and Mac Pro in Apple’s current product lineup, according to Cerveau. 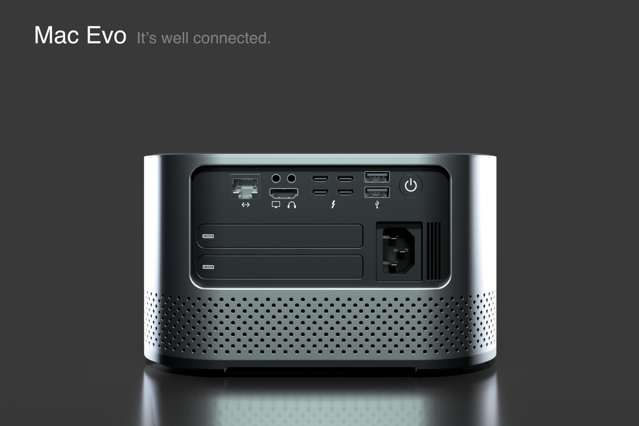 The designer notes that the Mac Evo is meant to be “a viable alternative for the growing number of enthusiasts” that require powerful systems for productivity, media creation or gaming, without the need for a large tower. 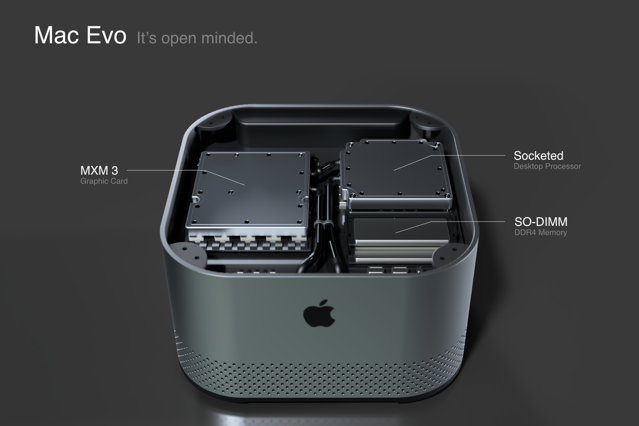 Dubbed ‘Liquid Radia’, a liquid-cooling system for the Mac Evo’s processor is basically the highlight of Cerveau’s concept. 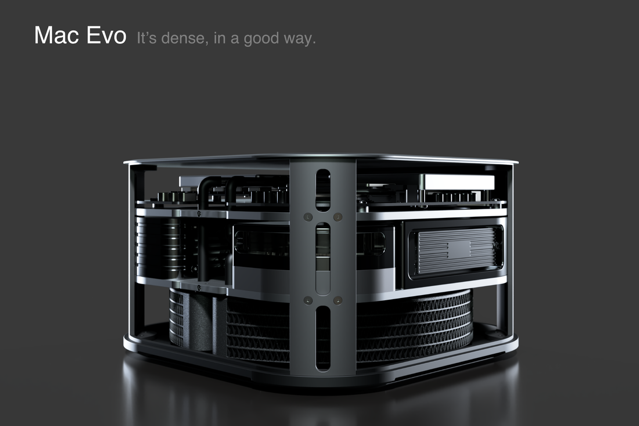 “I wanted to introduce water-cooling to the Mac as a way to avoid any form of thermal throttling while keeping the system as compact as possible”, he says. 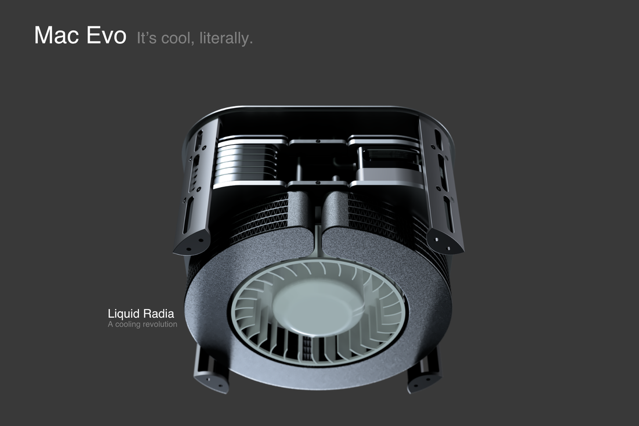 “I have no idea what real world cooling efficiency Liquid Radia would have and I imagine producing a circular radiator would be quite the manufacturing challenge. 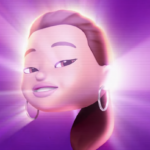 I liked the idea however and thought it would be interesting to put it out there. The concept device is fully upgradeable and comes in Classic, Beige, and G4LACTIC Clear colour options. 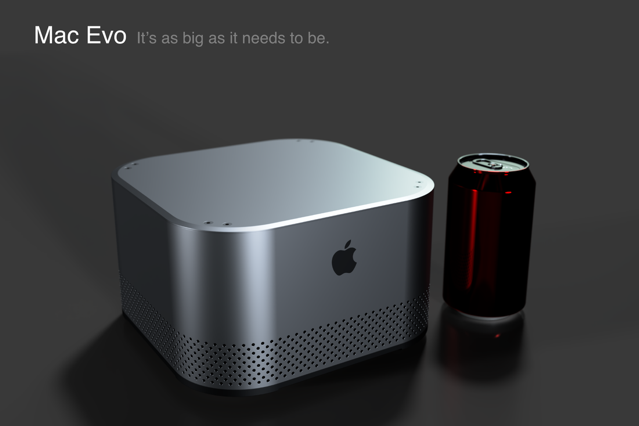 Check out the concept images below and let us know what you think.